Advanced flexible design for houses and ducts. You will be proud to own the very best residential DucTester made. This system is the complete package- start testing residential duct work immediately. custom carrying case. 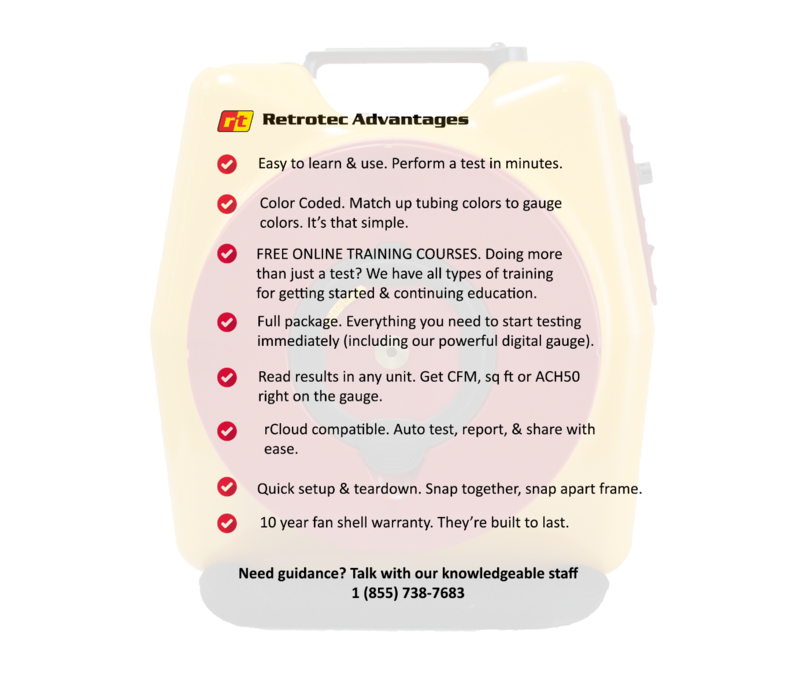 Retrotec's training and reporting software make testing easy.